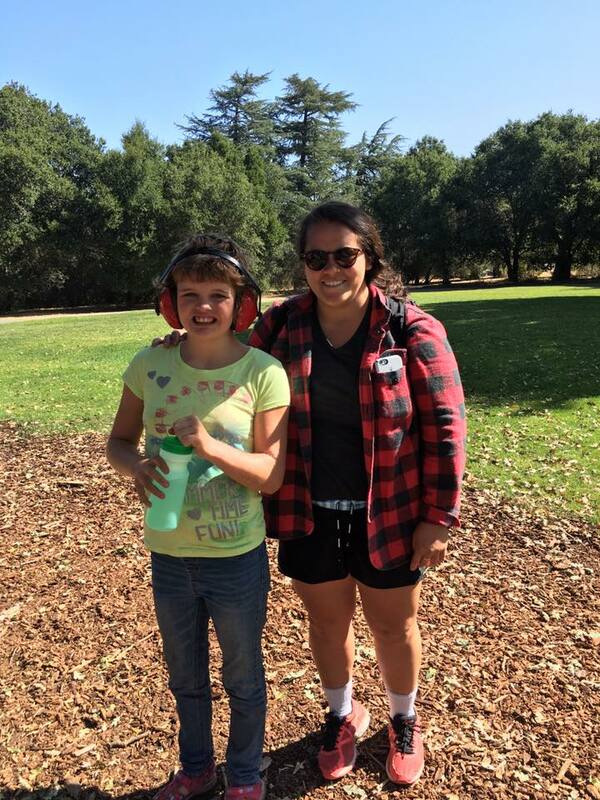 ← Katie’s at Camp Arroyo! 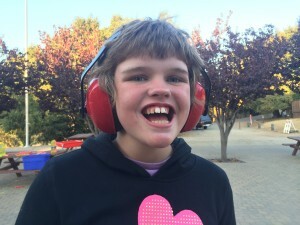 This year, my daughter didn’t just survive, but truly thrived at summer camp. 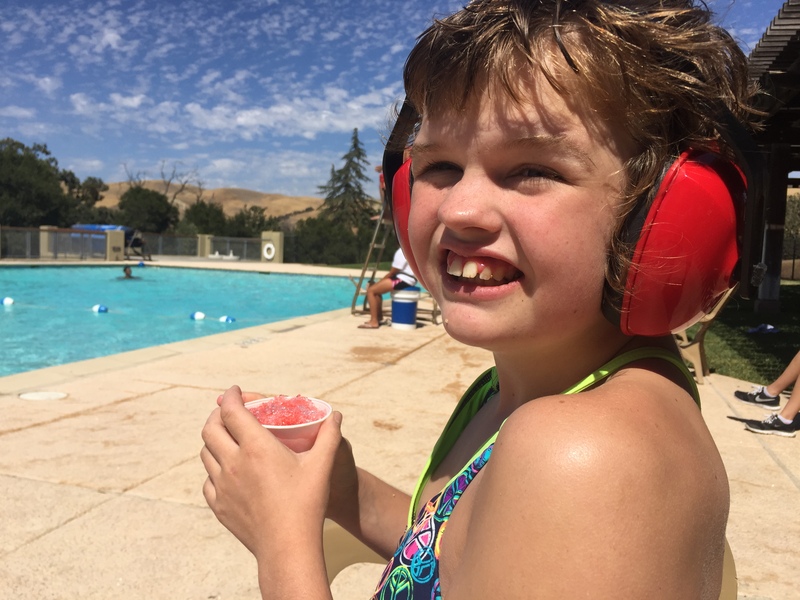 Once again, Katie attended Camp Arroyo, which is where the Exceptional Needs Network (ENN) holds its summer camp for special needs children in conjunction with the Taylor Family Foundation. The camp may be a short three days, but ENN really goes all out, providing two bounce houses, a swimming pool, service animals, petting zoo, popcorn and snow cone machines, a host of special visitors, and a yurt devoted to art projects. They also had horseback riding, rock climbing, remote-controlled drones, and a zip line. Plus a dance on the final night. Katie did it all. Even danced with some boys (and their aides). To someone with a typically functioning child, this may not seem like a big deal. But for Katie, who still struggles to make friends, it was a huge milestone. Katie had a new aide this year, the amazing Ashley Angeles. 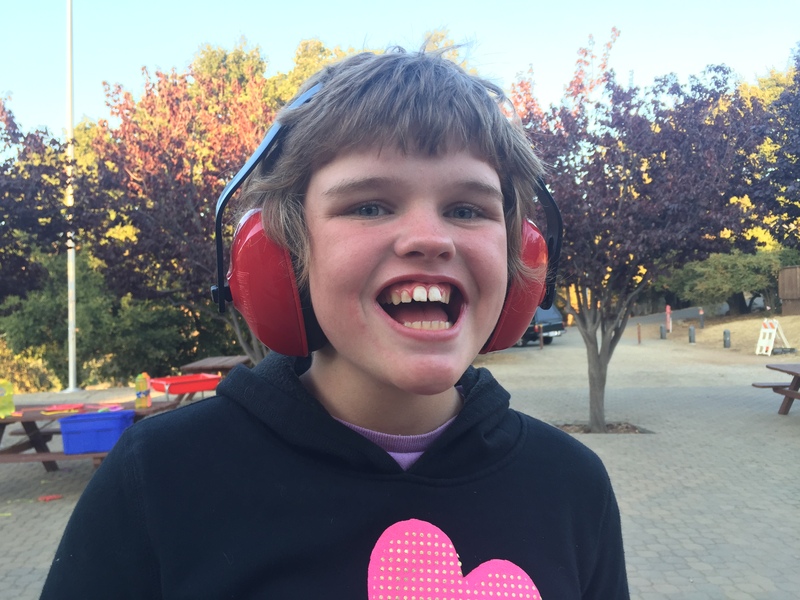 She and Katie really took to each other, and Ashley had clearly read the notes on Katie from the previous year and worked out a plan to solve the twin problem of sensory overstimulation and sleep deprivation that had marred Katie’s first visit. Clearly Ashley was successful. Katie returned home tired and a bit twitchy, but nothing out of the ordinary. And there was no significant behavior. After the year we have had, that is a tremendous accomplishment. And unlike last year, Ashley took lots of photos. So I know what Katie did at summer camp. As was the case last year, after three days away, Katie didn’t want to come home. Ashley said they packed her things in the morning and then Katie unpacked them, telling her she wanted to stay longer. So they had to pack twice, but when Nate and I arrived for pick up, Katie seemed happy to see us. Possibly even a little homesick. She hugged me, then hugged Ashley goodbye. As for me, Nate and I went out to dinner twice, watched several movies, and spent a day in Pescadero, eating green chili soup, crab sandwiches, and blackberry pie. We visited the beach and a goat cheese farm. 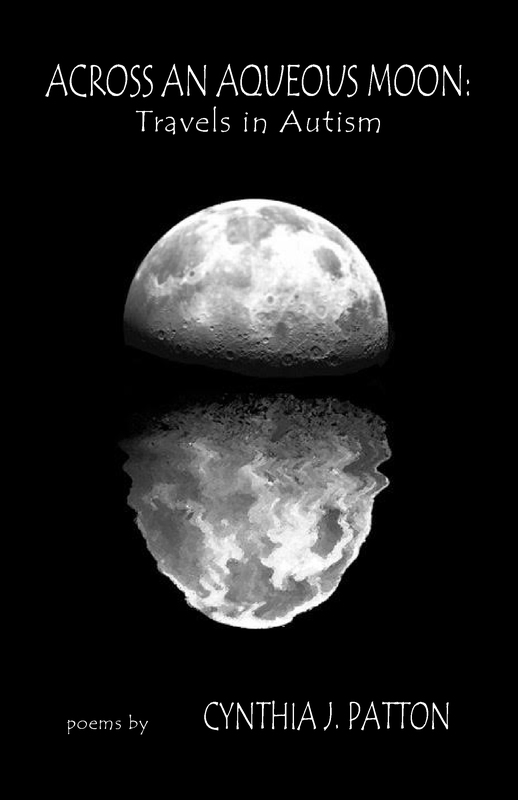 We also attended First Friday at the Chabot Space and Science Center in Oakland, had milkshakes at Fenton’s Creamery, and window-shopped on Piedmont Avenue. 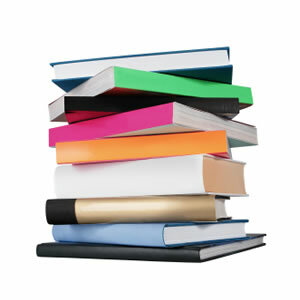 I read a book and slept in every morning. It was good to get a break from the demands of parenting. I was convinced Katie would chose HOME, but she selected FINE BUT OVERSTIMULATED. So they kept working, doing math as well as a lesson on aerodynamics. Katie’s mouth was unreliable and her body twitchy, but her big, beautiful brain was still able to spell thrust and gravity and then subtract 24 from 95 and get the correct answer. By Sunday Katie had recovered and was asking to return to Camp Arroyo. A year is such a long time to wait…. 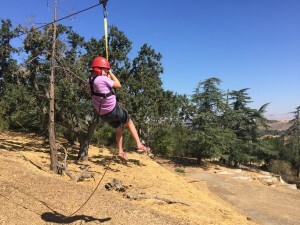 This entry was posted in Autism, My Life and tagged Autism, Camp Arroyo, Dating, Exceptional Needs Network, Gratitude, Letting Go, Milestones, Parenting, Sensory Integration, Single Parent, Special Needs, Summer Camp, Taylor Family Foundation, Unplanned Life. Bookmark the permalink.